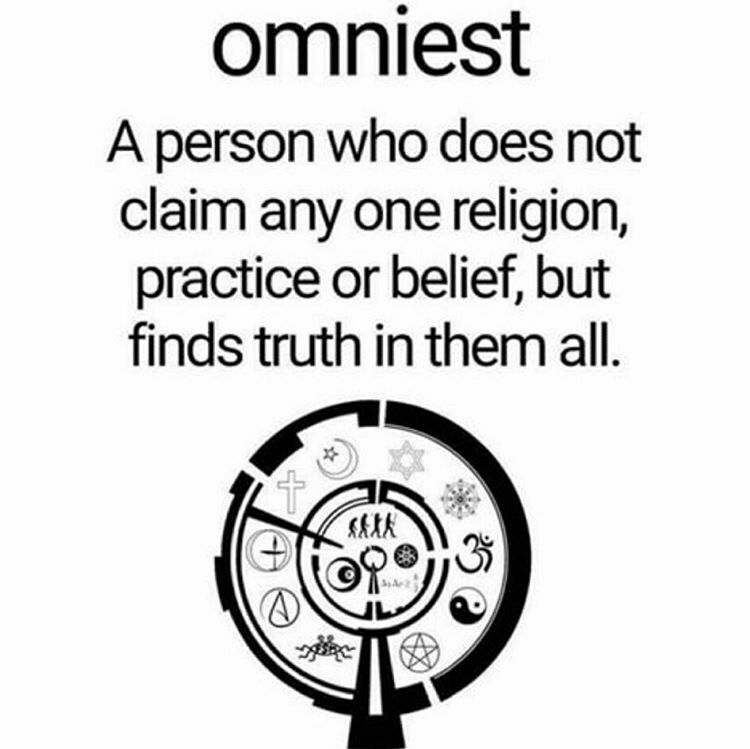 The Omnist, being the opposite of dogmatic, holds an open mind when it comes to spirituality and religion. You've probably heard of a lot of other "isms" when it comes to beliefs. There's agnosticism (not sure if there is a God), theism (belief in one or more Gods), monotheism (one God), polytheism (many gods), deism (belief that there is a God, but he's not personally involved), and even atheism (belief in no God). Get ready to add a new ism to your vocabulary: omnism. It's actually not new; the term was coined back in 1839 by Philip J. Bailey in his poem "Festus." But in the new millennium, the time seems to be ripe for the concept to catch on. Omni means 'all'; in turn, omnism is the belief in all. All of what, exactly? It's the belief that all religions have a point. That (according to the Oxford English Dictionary) everything has a "single, transcendent purpose or cause uniting all things or people." Omnists do not take written or spoken words as truth.